I have needed some time.. To understand how ideas form brightly and keep glowing, and that the processes that underpin them may take some long and slow time before the first stitch begins.. And that this is ok, all part of the whole.. It began with the cauldron and the fire. The sound of the wood crackling and the smell of the smoke filling the air mixed with the scents of turmeric and tea. Thinking back to the prayer flags in woad and turmeric .. Then the dress and then thoughts of a quilt.. Many considerations, many questions .. 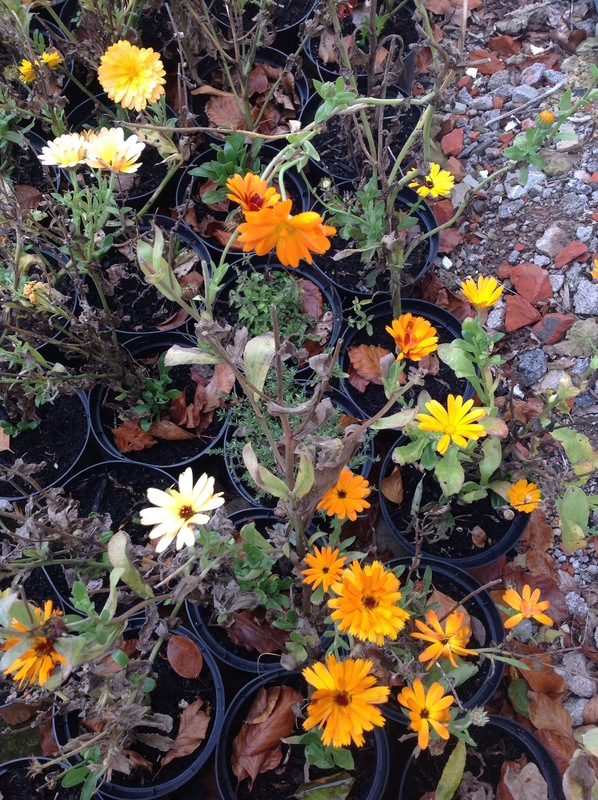 The calendula needed time and care to grow and flower. Collecting the flower heads and drying them, then storing them in paper bags strung indoors has been a process in itself to think about. I have recorded so many images of their beauty. They give so generously – will carry on till the first frosts. 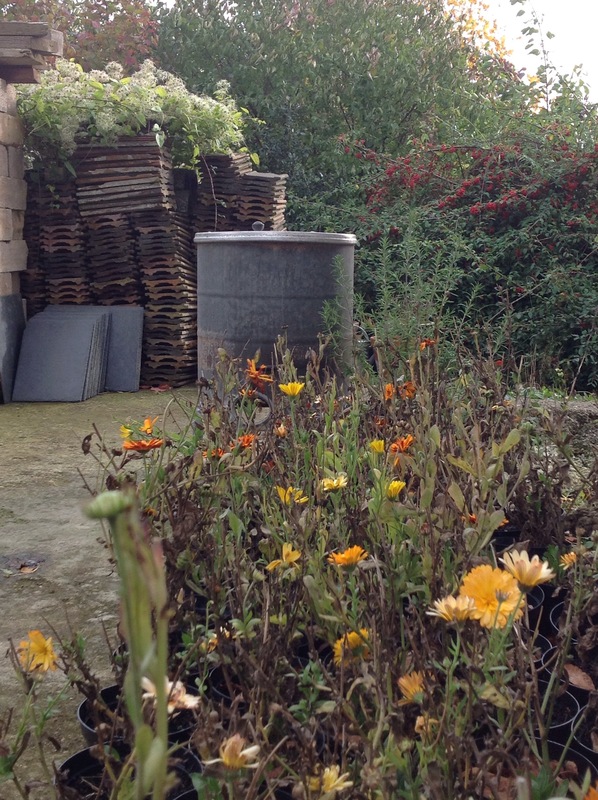 Here are the last flowerings – they are still offering up to the bees and other insects. Picking only what I need so as to share with the bees and other pollinators and learning more about folk medicine. The cauldron isn’t deep or wide enough for this next plan, so some thrifty research yielded (after yet a fair amount more time!) 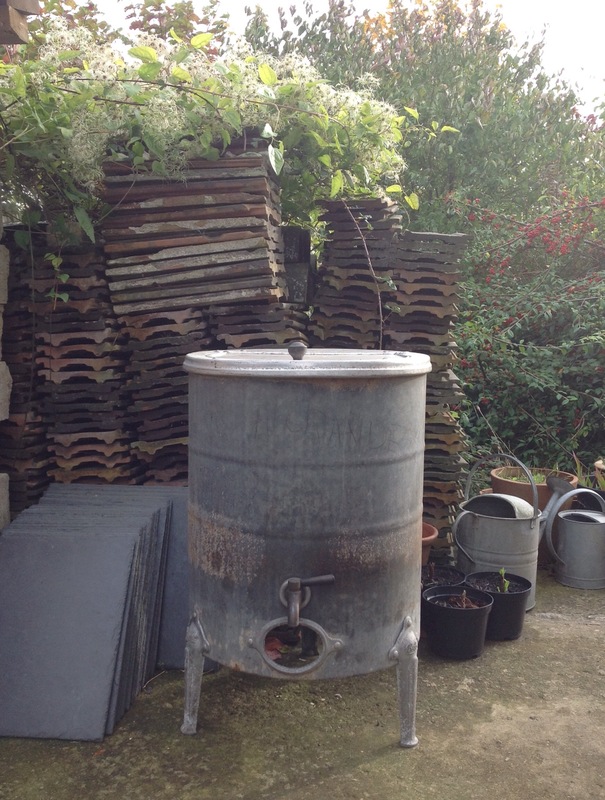 an old wash boiler! My grandparents used one for Monday washdays. Now I need time to get it working.. to prepare the cloth, then I will dye petals and leaves and other gatherings.. The drawing fills the wall – more than a dream in my head. More research and rich discussions particularly with my friend Kay Swancutt. Meanwhile I think that by the time the calendula has died back and all the seed is stored for next year, then the stitching can start.. 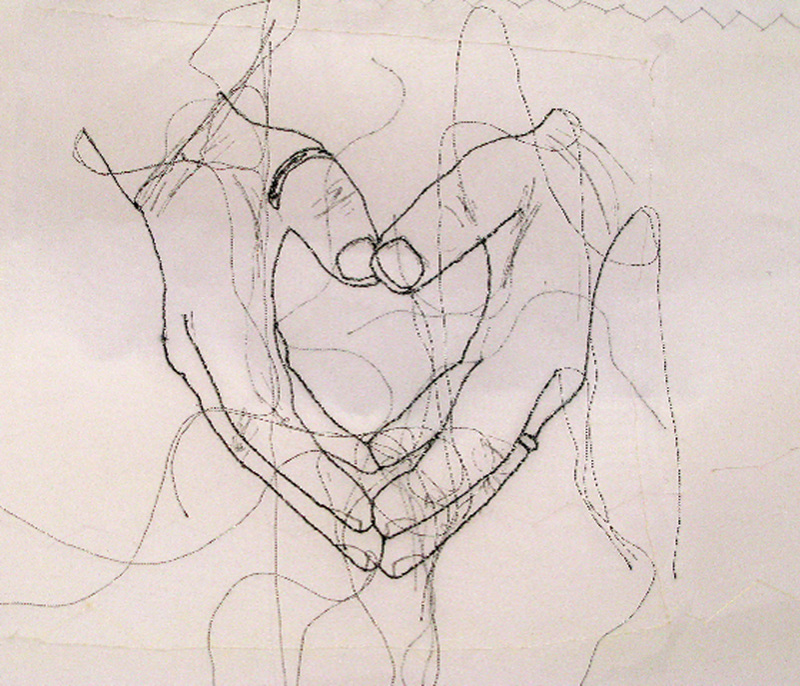 This entry was posted in Uncategorized by boostitch artist researcher. Bookmark the permalink.